Slovenia, known as the country „on the sunny side of the Alps“, is a charming little country that combines the Alps and the Mediterranean region, Pannonian plains and the Karst. On no more than 20,000 square kilometres, a fascinating variety of landscapes can be found, ranging from the Mediterranean seaside and stone Karst to the Alps and the Pannonian lowlands. Equally diverse and attractive is the cultural heritage of Slovenia and its people. In Slovenia you can encounter a variety of tourist attractions in every step, from unspoilt greenery of nature to the historical monuments. In the very centre of Slovenia, encircled by wooded hills, lies Ljubljana, the boutique capital of Slovenia. Despite being one of the smallest capitals in Europe it is an interesting blend of metropolitan, urban, cultural and historic ingredients. The most distinctive feature of Ljubljana is its medieval hilltop Castle which offers a breathtaking panorama of the city together with a birds-eye view of the old town. The town of Bled, sheltered by picturesque mountains is best known for its picturesque glacial lake (Lake Bled), idyllic island with iconic church in its center and the overlooking medieval castle perched atop a steep cliff. 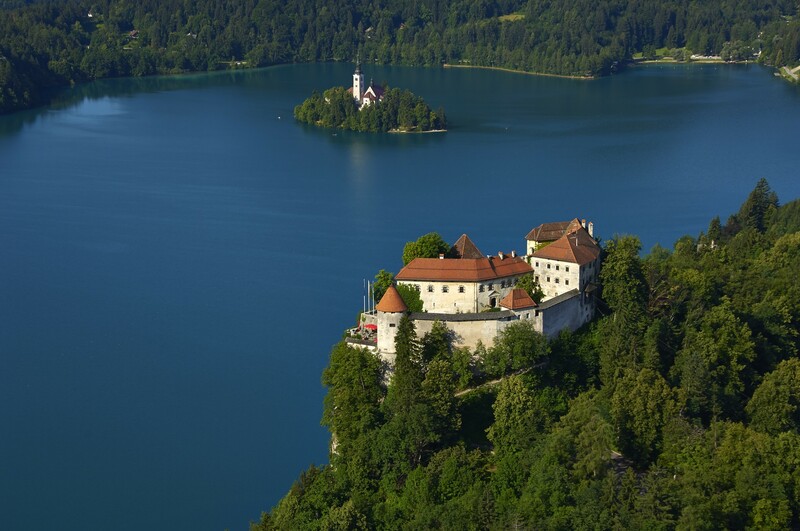 The most impressive views of the lake and its tiny island in the middle are from the terraces of Bled Castle (Blejski grad), built on a rocky outcrop 100m (330ft) above the water. The castle, which recently celebrated its 1000th birthday, houses a small but excellent museum on the history of the region, a restaurant with outrageous views, a small chapel, printing works, and an herbal gallery. The small island can be reached by pletna—a wooden rowboat. These boats, much like Venetian gondolas, are considered regional heritage. A continuous flight of 99 steps lead from the island’s quay up to the 17th-century Baroque Church of the ­Assum­ption. It has such a beautiful setting that photographs of it are regularly found in travel magazines. Postojna Caves are considered to be one of the world’s largest and Europe’s finest karst landscapes. So breath taking are these caves that UNESCO made them a World Heritage Site. 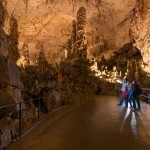 For 140 years, the Postojna Caves offer a unique and adventurous ride with a special train, which will take you into the cave, under spectacular underground arches, which are embellished with chandellier look-alike stalactites, through a beautiful subterranean world full of playful limestone sculptures. 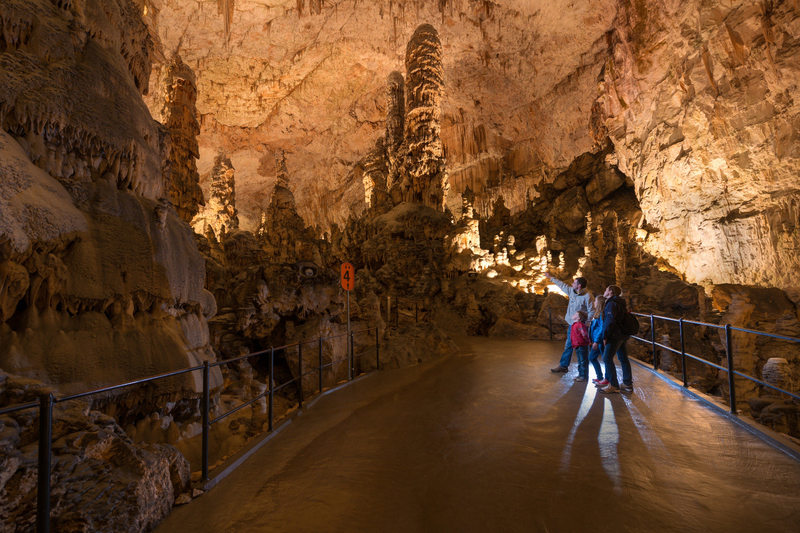 21 km of passages, galleries and magnificent halls offer an unique experience of the underground world. The Postojna caves are definitely one of the most diverse cave systems in the world.